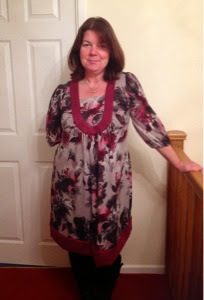 Better late than never here is my October make, dress pattern McCalls 5706. There are more details and pics on my blog tracysewshappy. I love the simplicity of it, nice color for you too! I may have that pattern & just don't know it, I have so many! lol!